I'm back with another vlog *wiggles waist*.... how crazy has my schedule been lately? So busy! LOL. I'm a full time blogger and I never ever thought I'd be this busy being self employed, if you're one of those people who think being an entrepreneur will give you plenty time to be chilling....you're probably jonzing. 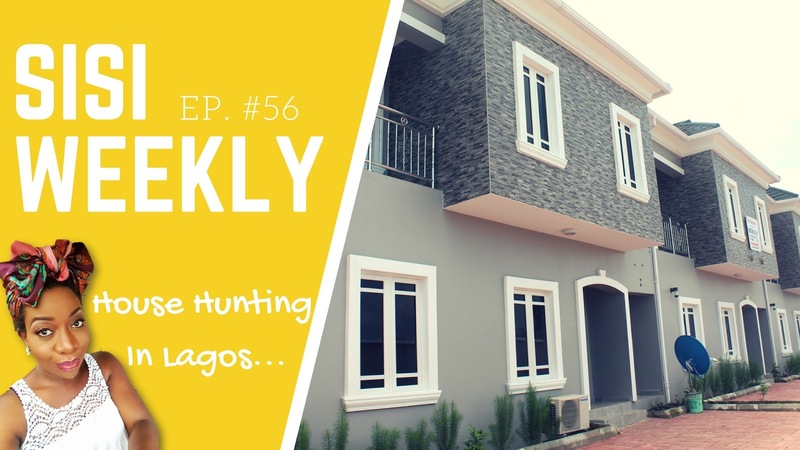 Lately we've been spending time house hunting in Lagos-e no easy oh. That one on it's own is a full time job! Join me on my journey! Don't forget to SUBSCRIBE oh! Searching for a good house it hectic and tiring, am also in the same shoe presently though not in lagos. That's how I've been feeling, I keep hoping every viewing is THE ONE! Hi, I already have a video of that coming up -I'll break everything down. I'm scared of bush too so that makes us two. Kitchen is always the most important place for me too. All the best, Sisi! Hey Yemisi, Tito is super cute. Hope Mall for Africa didn't charge you an arm and a leg to bring tito's clothes in o. I actually sell those items from Carter's, clothes and shoes too. I have some pictures on instagram. My handle is @jezeocha. On house hunting, im scared to even start my search cos dont know if I want to remain on the mainland or move to the island/lekki/ajah axis. Like someone said it would be nice to list the area and price to help narrow the search. So far the bathrooms have been a no no plus the bush bush everywhere...lai lai. Biko keep us posted on the house search. Hi Sisi Yemmie, Please the ayamase (Ofada recipe) ooo. Its my husband's birthday next week will like to add that to the array of food I'm cooking, so please upload that. Thank you! Enjoyed your video Sissie! I reside in the U.S and Yes! Many folks think been an entrepreneur will make life easier. Hmmm!! You are a 24hr machines,and if you don't work You don't get personal/sick days. On the house hunting, I'm sure it's tiring, but exciting too. You both will find one that is sufficient for your pockets. In future you will build your own. Blessings..
Tito made my day aww! Wishing you luck on your house hunt. Wow! How did you find a duplex like that for 1mill??? Our little apartment even costs more than that! You need to give us your agent's number please! Oh boy, this reminds me of when Cakes and I were looking for a place while wedding planning. We found an okay place but the management was just really bad. Ah well, finding perfection in Lagos costs several arms and legs. You just make the best of the situation. Nice one!